We all want our PCB prototypes to get done fast and cheap, but sometimes this will not happen. After all, when you start a new design and focus all your time on the circuit design or component selection, little time is left for your PCB layout. 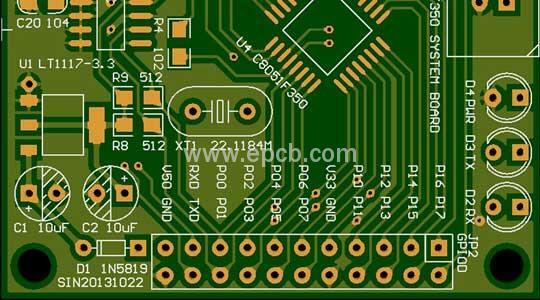 But during PCB manufacturing, the layout process is the most important. So what’s the key to design a PCB that gets you a working prototype back right the first time? We have concluded 10 design tips below for your reference, and four of them are discussed in this article. We always recommend adding power and ground planes to the inner layers of the board. Placing these layers will help keep your circuit board stronger and ensure it does not bend during component placement process. For integrated circuits (ICs), we also recommend using a common set of power rails that have a wider trace width to handle the increased heat that will be poured through the copper. We always recommend that you should identify components on the board in a simple and easy to understand way to make component placement and orientation process as easy as possible. For example, adding useful symbols that show where the diode anode and cathode ends will make your life easier. Some older components are still in use with no lead-free alternatives. Although you may try to discard one of these with new lead-free components, think again. Lead and lead-free components have very different thermal requirements, especially for RoHS-certified components. If you need to mix lead and lead-free components, it is better to place something similar to a lead-free BGA on a lead-free board rather than put a leaded chip on a lead-free circuit board. In both cases, the latter tends to overheat the circuit board and evaporate all flux, resulting in excessive compression and damage to the PCB. Forget to add a solder mask between pads is a common mistake. Whatever the reason, before sending your design to your manufacturer, double check to make sure that all pads have a layer solder mask between them. This will help prevent the risk of bridging and corrosion. Besides, your PCB manufacturer may also perform a complete DFM check to help find any solder mask you might have missed.